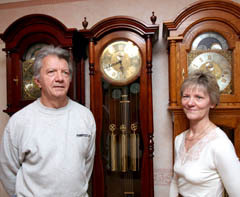 Frank and Barbara Redmile cordially invite you to visit Oakside's showroom where you can inspect, at leisure, the constantly changing display of Grandfather, Grandmother and Vienna Regulator Clocks. You should plan to stay for at least one hour so that Frank can explain all of the features of the clocks and to answer your questions. If you would like to visit our showroom please Contact Oakside to arrange a convenient appointment - we are very informal and you may visit us at almost any time at Oakside. 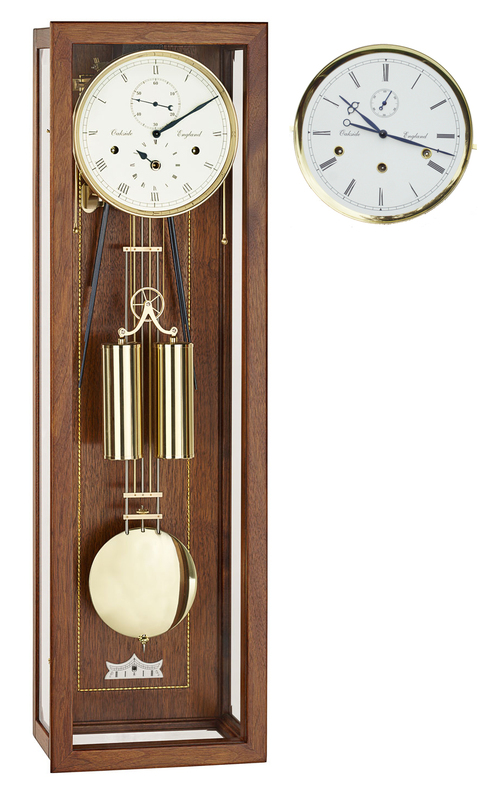 If you have any questions regarding our clocks please do not hesitate to phone or e-mail. We will be delighted to answer any queries you may have. 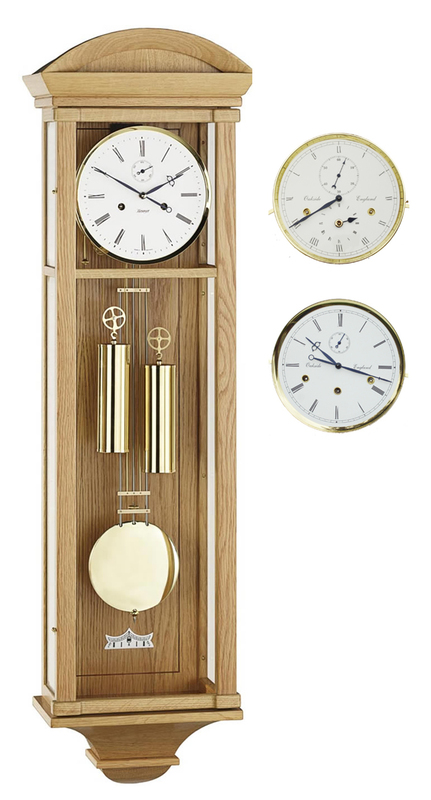 Please keep in mind that all of the clocks in the Oakside range are designed and built in our home workshop. Our motto is "quality first" so please do not rush us if your order is a little late. If you are having any problems navigating our web site, please click on FAQ - I need help now! or phone or e-mail and we will provide assistance. Enlarge The Devon in natural Oak. Enlarge The Windsor in medium Oaks. 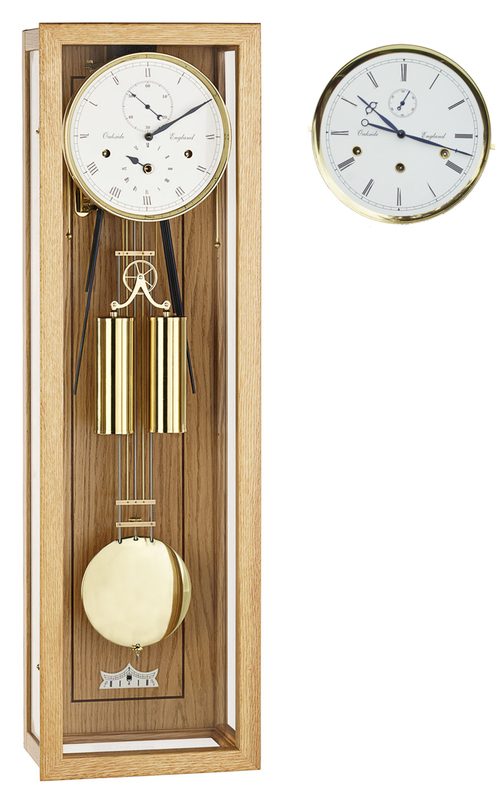 Enlarge The August Tasche in natural Oak (PS movement). Enlarge The August Tasche in Walnut (PS movement). Enlarge The Greenwich in natural Oak (RWS movement). 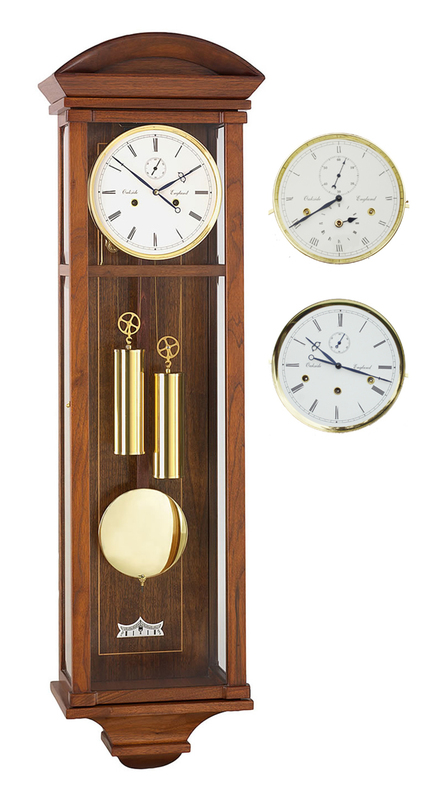 Enlarge The Greenwich in Walnut (RWS movement). Enlarge The Plymouth in natural Oak fitted with the HTU movement. Enlarge The Plymouth in Walnut and the HTU movement.